Our research has been based on the first principle methods for computation the electronic structure and electron transport of mesoscopic system that enables modelling of the system independently of all parameters related to the system. We have focused on applying these methods to nanostructures such as carbon nanotubes and graphene. The computation of electronic transport properties of these systems has been performed by using non-equilibrium Green's function (NEGF) and density functional theory (DFT) with the help of software packages such as Siesta, TranSiesta and TBTrans. 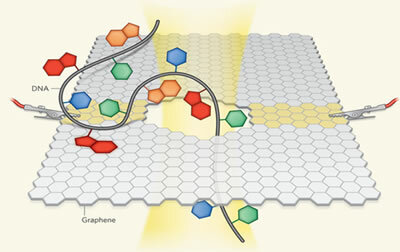 This simulation tool has been used to gain insight into the performance and evolution of these systems, and as an attempt to sequence the base within DNA molecule positioned between two nanotubes and in pore in the graphene by measuring the electrical currents through the system at a given voltage.